Taoiseach Leo Varadkar has given strong backing to UK Prime Minister Theresa May as tense Brexit negotiations were re-opened by EU leaders in Brussels. 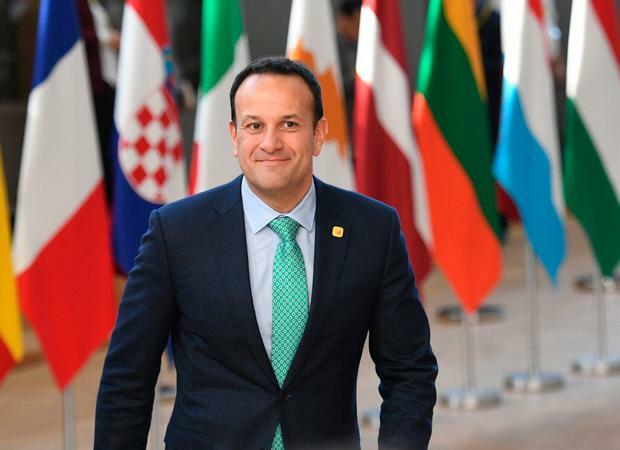 Mr Varadkar was speaking as Brussels officials signalled that the embattled UK Prime Minister will get a second extension – saving a crash-out no deal Brexit due to happen on Friday. But strict conditions will be applied to ensure Britain does not disrupt important decisions to be made in the coming months about a new seven-year budget and the appointment of a new EU Commission. On his way into the EU conference centre, Mr Varadkar stressed the importance of extending the deadline beyond next Friday – again insisting that Ireland did not want a no-deal Brexit. But he avoided saying how long that extension should be and instead stressed the need to keep the Withdrawal Agreement text which defends Irish interests. “I have an open mind on whether it should be short or long,” he told journalists. Mrs May has sought a short extension only until June 30 next – but on her way into the summit she suggested she would be interested in a longer time-frame. EU sources have signalled that talks are now focused around an extension until the end of this year – or perhaps a full 12 months to end March 2020. Today’s talks are set to continue for several hours – and some diplomats suggested they could continue into early morning tomorrow.